The choice between new and used is something we deal with in so many different ways as homeowners and consumers. We think about whether to buy a new or used electronics, clothing, bicycles, and basically any other type of product. Many people also find themselves choosing between a pre-owned home and the idea of building a brand-new home. This choice between saving money and buying something use or spending a little more for something brand-new is truly common choice in most peoples lives. When it comes to outdoor decks, people really haven’t dealt with this choice – at least not historically. You can’t really purchase a used outdoor deck, after all. 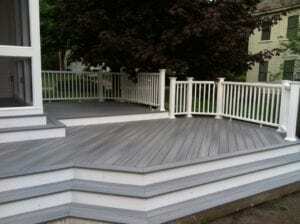 Either you build a brand-new deck or you make efforts to restore, clean or beautify your existing deck. Traditionally, your options in this department are somewhat limited. Now we have an entirely new option: Resurfacing an existing outdoor deck. This is exciting because it effectively allows homeowners to have the look and feel of a brand-new deck without putting in the time or money required to actually tear down the existing structure and build something new in its place. So now homeowners are faced with another choice. It’s not exactly “new versus used,” but it’s in the same neighborhood. So how does resurfacing your outdoor deck measure up to building a brand-new one? How can these two options be honestly compared? Any reputable dealer or builder will tell you that it all comes down to the circumstances. If the underlying frame of your existing deck is in good shape, and you are perfectly happy with your existing deck’s design and shape, resurfacing is a way to make it like new without breaking the bank. 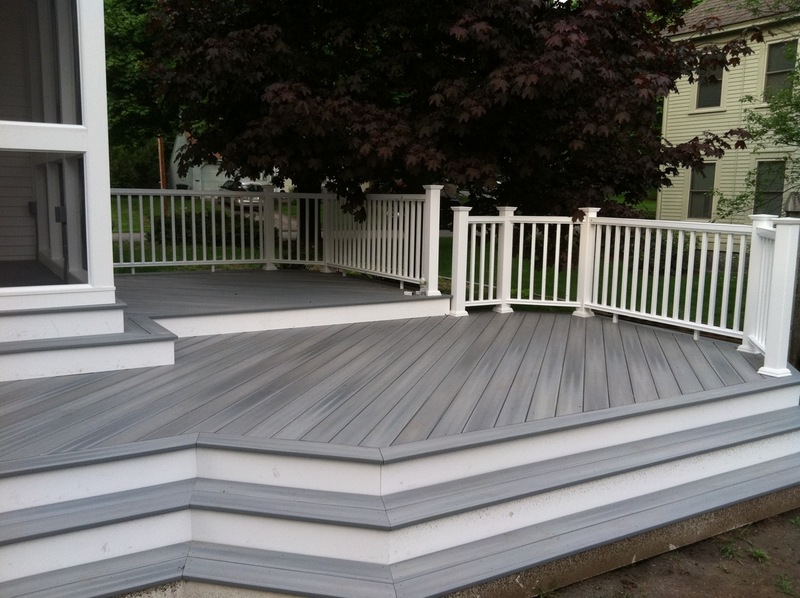 Keep in mind that deck resurfacing involves completely new materials forming the entire surface of the deck, including the handrails and stairs. It’s like a new “skin” over the old deck’s supporting bones. A skilled specialist will pay special attention to the overall safety and integrity of the deck before, during and after the resurfacing project. The other option is to tear that old deck down and start new, with fresh ideas and materials from the ground up. Obviously this is another attractive option, especially when the old deck is too dilapidated or damaged to save, or when the design is not really preferred by the homeowner. It also gives you the opportunity to go in a different direction in terms of design, perhaps incorporating some of the more exciting new outdoor deck designs in modern home architecture. Looking for guidance on your outdoor deck? Sometimes having the right experts in your corner can make all the difference. A reputable deck builder will be able to determine whether your deck is eligible for resurfacing, and will be able to give you valuable advice on which type of project represents the best investment in your particular case. Sometimes, a weathered old deck is too far gone to be resurfaced, and it makes more sense to start from scratch. But in those cases where resurfacing is possible, the results can truly surprise you.